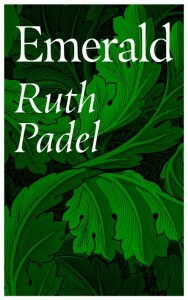 Emerald, Ruth Padel’s new collection (Chatto & Windus, 2018), is primarily an elegy for her mother who passed away in 2017 at the age of ninety-seven. In it, through careful observation of the world around her, Padel has created a nuanced portrayal of the transformations that occur in our lives when we lose someone we love. The opening poem, ‘The Emerald Tablet’, sets the tone: ‘This is to do with being lost.’ Grief is confusion , shock; Padel travels down ‘the black iron nerve of a station I don’t understand’. Loss has left the poet untethered, but this unmooring is not wholly unwelcome: losing her mobile phone and without the ‘little foldout guide’ of routine, she finds herself somewhere ‘unreadable’ which is ‘exactly where [she] was hoping to go’. From this ‘unreadable’ place, the poet is able to write with the numbed clarity that can come in death’s aftermath. This culminates in the idea of alchemy, that ‘above is the same as below’; the poet, here, interprets this as meaning that ‘our loneliness is not alone’ and that the spirit does not ‘keep trying to peel away from the atoms of your body / but is embedded in nature’. This idea of retransformation, that death marks a turning back into the earth from whence we came, acts as a refuge for Padel throughout Emerald and informs many of its other poems. These alchemical transformations are found again in ‘Nursing Wing’, a poem written with a gentle cadence that mimics the murmuration at the poem’s heart. Padel emphasises the double meaning of the title, moving from the ‘still air’ of the hospital to the ‘shape-shifter silhouette’ of a bird, the last witnessed by her mother. 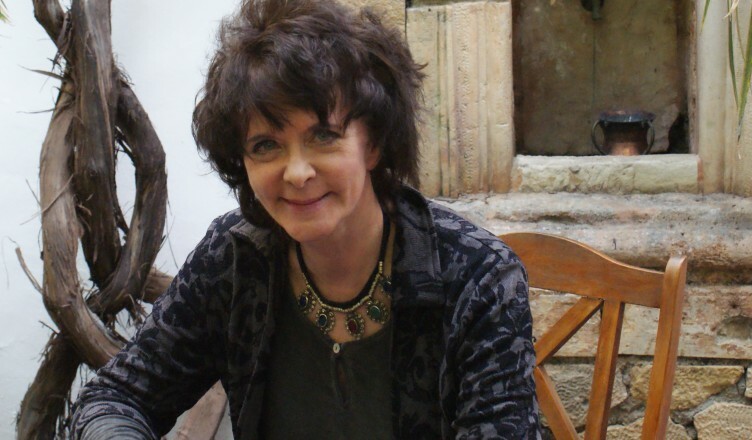 The poet’s observations are focused on the tiny vibrations of air and wing: her mother’s dying breath and the opening of a window to ‘let her spirit out / losing [her] in compound shiftings of the breeze’. It is a depiction of death rendered with the utmost care, a care that resonates especially in the line ‘Forgive me little-wing for opening a window’ – the poet, here, illustrating the tenderness with which we move around the dying, their bodies becoming ‘little-wing[s]’ to be nursed and cared for. The poem ‘Intermission’ confronts the management of dying. Padel depicts her mother’s reaction to her last weeks: ‘I’m on the way out / she kept saying to friends and family / daring them to say she wasn’t.’ She appears to be pragmatic, accepting, ‘surprised / how many people want to speak to her say goodbye’. That their parents had lives before them is something children are liable to forget, often something they only fully realise in their parent’s final days, when they might prefer the end to be something personal, private. We find solace in the objects the dead leave behind, objects inextricably linked to memories. In ‘Removal Men’, her mother’s outgoing ‘mad bronze over-size speakers’ become for Padel ‘sixty years of listening to Carols from Kings / in a hot kitchen on Christmas Eve’. Each object, each part of the family home conjures its own memories, and Padel finds in these a chronicle of her loss, the experiences she shared with her mother and never will again. 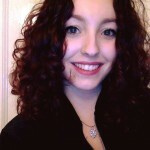 Nadia Saward has a BA in English Literature from King's College London and an MA in Creative Writing & Poetry from Royal Holloway, University of London. She now works as an Editorial Assistant at Pan Macmillan.